Navigating public transport in London can be a nightmare. Our complex tube system and delayed trains and buses can confuse any traveller, whether they are just visiting the area or have lived there for years. Thankfully, there are lots of handy travel apps that you can download to your smartphone to make getting around London so much easier. We have tested and selected 5 of the best free apps, so when you are travelling to and from our London English Centre and exploring London in your free time, your journeys will be easy and stress-free. Before using your smartphone in London, be sure to check your data allowance with your phone provider, as your may incur charges whilst on the go. To cut phone costs, try downloading apps before you travel, or use one of London’s many wifi hotspots. 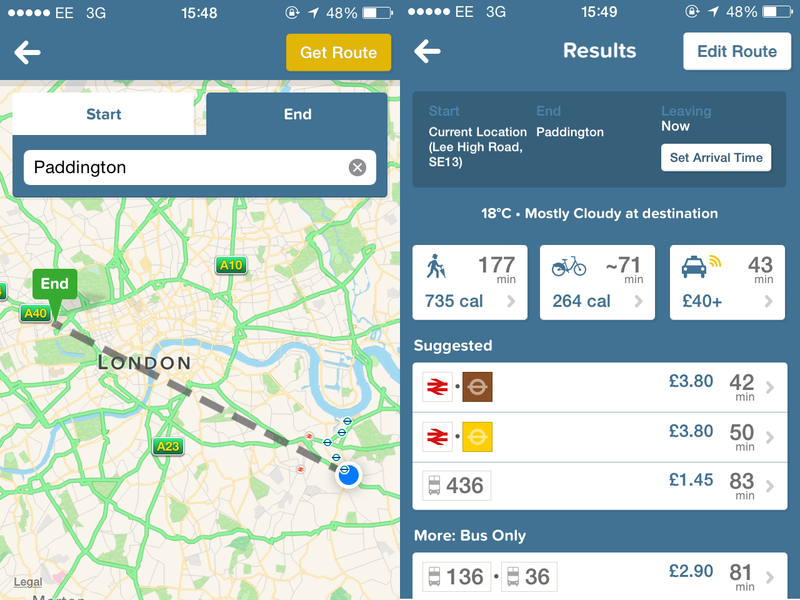 This extremely useful all-in-one app will help you get anywhere in London. Once your destination has been selected, it will provide you with a range of routes, covering all modes of transport including tubes, trains, buses, cycle hire and even taxis. To help in your selection of transport, the app provides you with updated prices. Don’t want to spend any money? Then it can also show you how to get to your destination on foot, and just to make you feel accomplished for being healthy, it’ll show you how many calories you’d burn. This fantastic app will help you figure out your journey on London’s ever-confusing tube network. The app provides you with an interactive map of London’s underground, live statuses of the service on each on the tube lines, and a route planner. To work out your route, just simply select the station you wish to travel from, type in your destination and the app will do the hard work for you. It will tell you which tube you need, where to change, and how long the journey will take you. 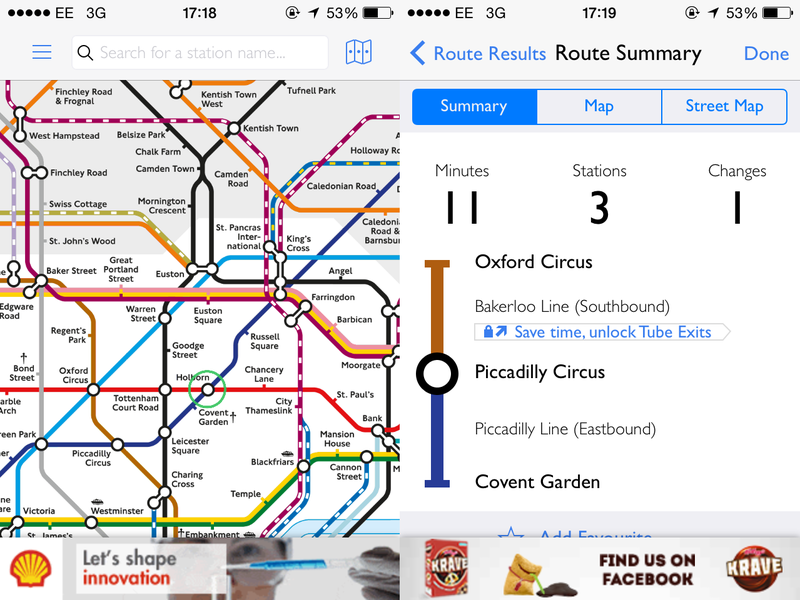 With this app all tube struggles and confusions will be solved- hurrah! 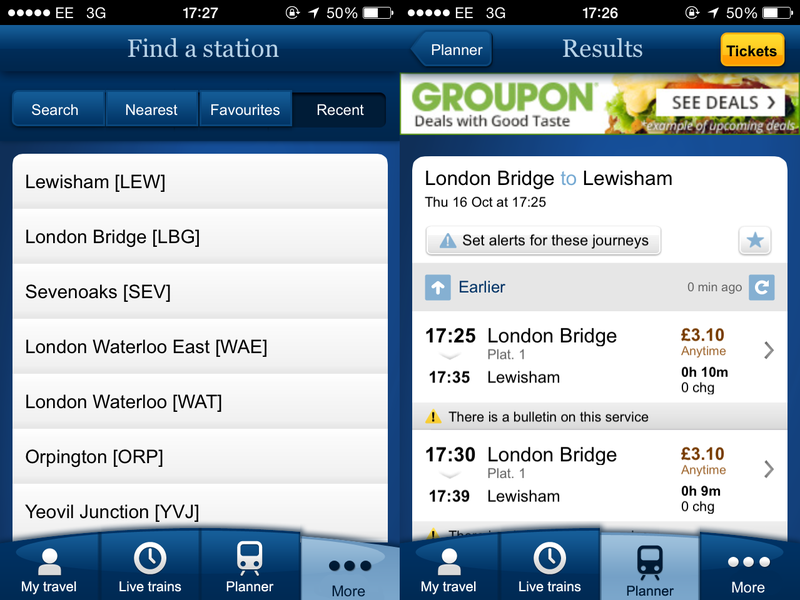 For frequent train travellers the National Rail app is a must-have. It allows you to search for times and prices, track specific trains to check if they are running late and re-plan your journey on the go if needs be. If you’re on a tight budget the app can provide you with cheaper routes to travel on. This app will solve all your train frustrations, no more constant stalking of the time boards, or waiting around on the platform, you’ll just be able to search, jump on that train and go! 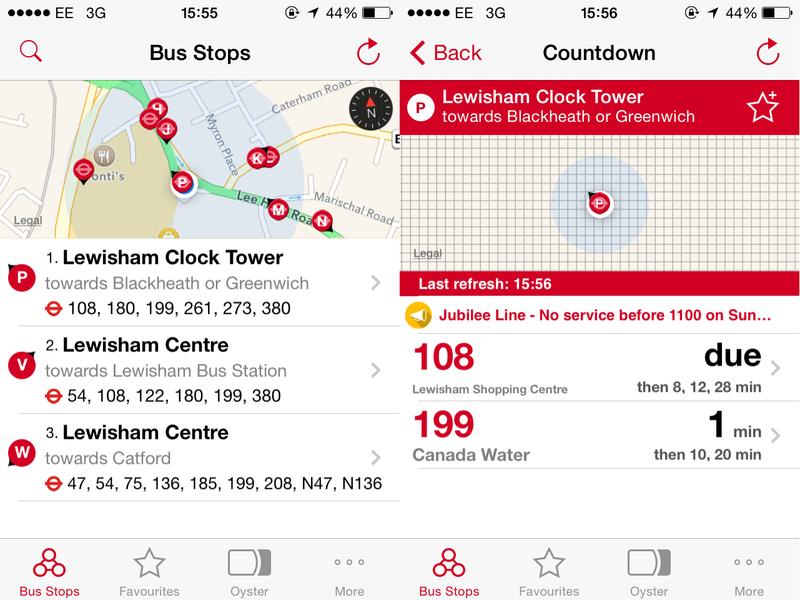 Never wait for a bus in London again (well, in theory) with Bus Live Countdown. You can search and select your relevant bus stop, and the app will provide you with a live countdown of buses heading to that stop. You can trust the app to be quite accurate, with buses turning up within 30 seconds of the app announcing it. If you need to plan your journey, you will also be provided with a list of stops that the bus will go to along your route. This very handy app will make sure that running for the bus is a thing of the past! 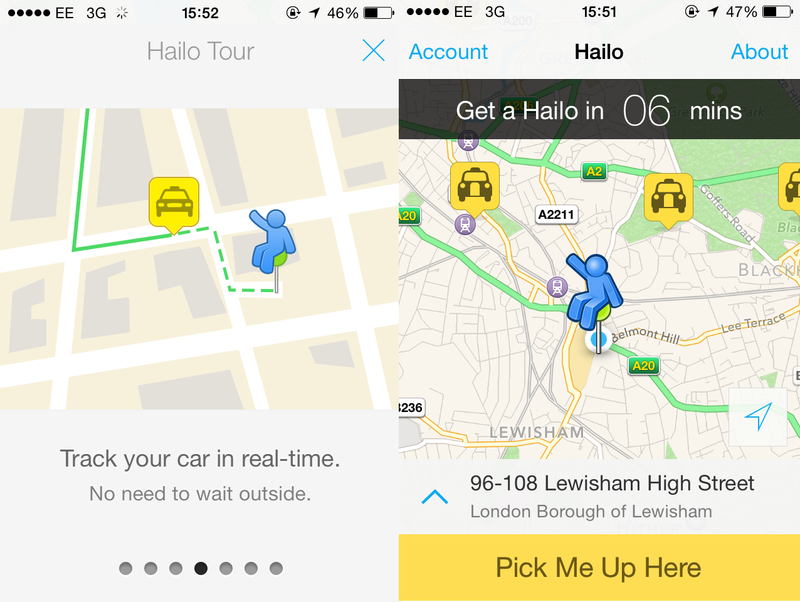 Not to be confused with the game, Hailo is a very useful app that will hail a taxi to your exact location. Gone will be the days of flailing and flapping your arms about on the street, just two taps and your taxi will be on its way to you. The app will let you know how long it will take for the taxi to reach you, and the drivers name, registration and phone number. You can also fill in your credit card details so you can pay and add a tip via the app. For those who use taxis a lot this app makes travel so much easier and quicker.